The Mexico City’s Tour will give a maximum taste of this mega-metropolis. A 15 km tour with a combination of architecture, history, museums and modern life. 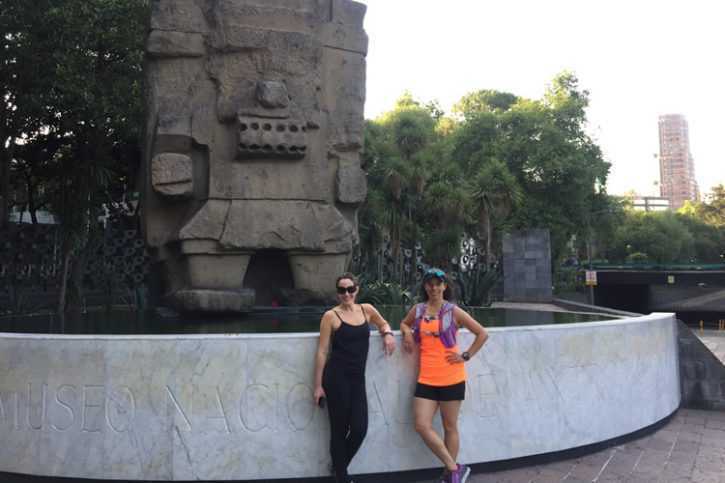 This running tour will guarantee you a great running experience full of anecdotes of Mexico City. If you want to see the main attractions of Mexico City, this tour is the right one for you. We combine Chapultepec park with Reforma Avenue which is full of modern corporate offices and is the financial center of the city. We also run through Downtown Mexico City which is a beautiful site with more than 7 centuries of history all in one place. You will see how the time left its footprints through its streets and trust us, when we say that, it is really amazing watching these changes while we run. Let us take you on an unforgettable run in Mexico City so do not forget your running shoes. We promise you will not regret of it. Please note: Please take note that this tour begins at the meeting point and finishes at Revolution’s Monument. A taxi back to the start location is about 10 USD and will take 20 minutes maximum if your hotel is near to where we end the tour.